YOGA FOR EXTREME BEGINNERS STEP 1: TAKE A DEEP, CLEANSING BR - ProudMummy.com the Web's Community for Mums. YOGA FOR EXTREME BEGINNERS STEP 1: TAKE A DEEP, CLEANSING BREATH. 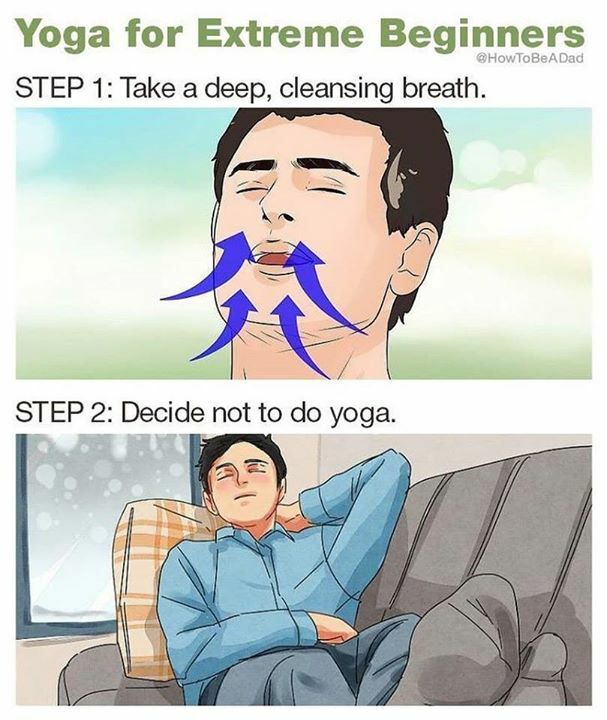 STEP 2: DECIDE NOT TO DO YOGA.